Puzzle games come in many different shapes and sizes with numerous manners of challenge and methods to solve each problem. 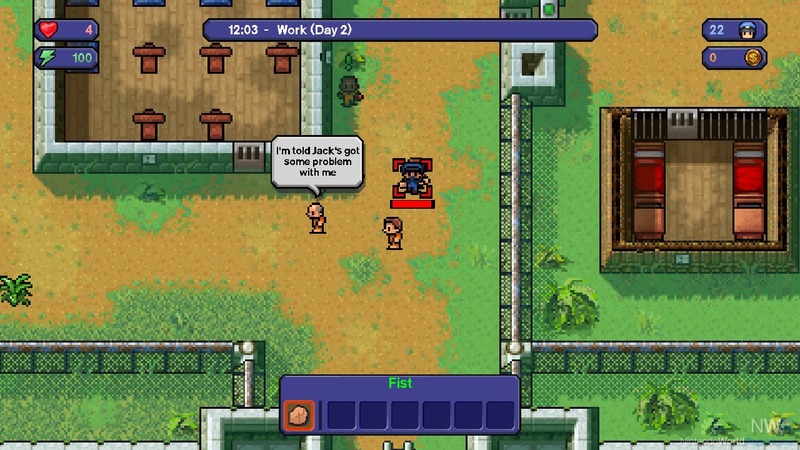 However, I find few that offer the same level of freedom and creativity as The Escapists: Complete Edition. Allowing you to solve (or escape) each challenge in your own different ways and methods, making it accessible for any playstyle. You begin each level by creating your own prisoner, tasked with finding a way to escape the prison, but that’s easier said than done. Each penitentiary is crawling with guards, other jailbirds, and security systems to make sure you stay locked up. You’ll have to use your brain to think of different items to craft and make various plans and methods to escape. Maybe by sneaking your way out, or by forcing your way out. The choice is entirely up to you. The game is primarily broken down into different prisons. 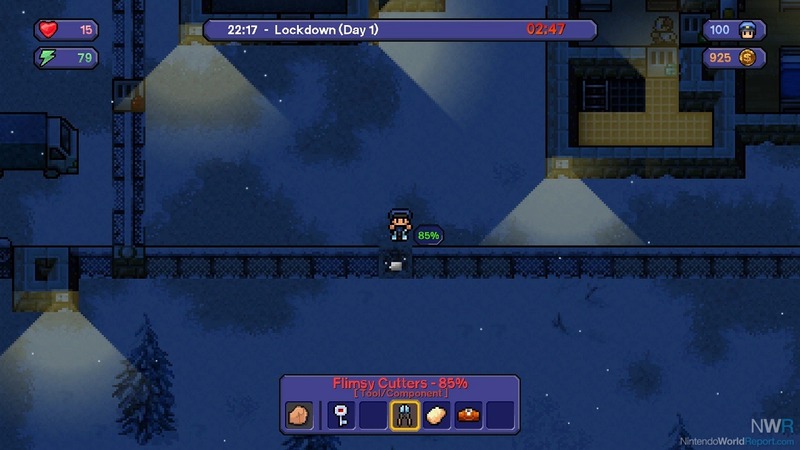 Each prison has their own unique layout, level of security, and items available for you to create. To have even a chance of escaping, you have to get creative and resourceful. You can find various items that could be used to craft weapons, armor, and tools that allow you to make it through the rough environment. However, you’re going to have to work to get these items both physically and mentally. Your character can increase their stats in strength, speed, and intelligence to give them a higher chance of being able to escape from their confinement. This version contains all of the DLC prisons found within the original game as well as some new maps that are console exclusive. The fun of escaping can keep going as some of these prisons contain various items exclusive to them as well as unique and creative ways to escape your confinement. The simple yet detailed art style is commendable. It compliments the gameplay greatly and keeps it simple enough for the player to understand their environment and what’s going on. However, I can't say the same for the soundtrack. The overall OST feels lackluster and doesn’t really provide a mood that compliments the overall prison theme. At times I even resorted to listening to other songs to help immerse myself into the gameplay and make each of my actions and decisions feel more threatening and bear much more weight. The crafting mechanic is similarly weak. Most of the more common items you can create utilize item combinations that some players wouldn’t have known to combine without the assistance of a guide or walkthrough. For example, one would be able to easily combine toilet paper and glue to create paper mache, but I don’t see how one would be able to understand that combining two files and some duct tape would create cutters. I feel that if something was implemented to help players obtain a guide on what items they could craft using the objects at hand, it would make it easier to progress through each level without having to consult a guide or reference. 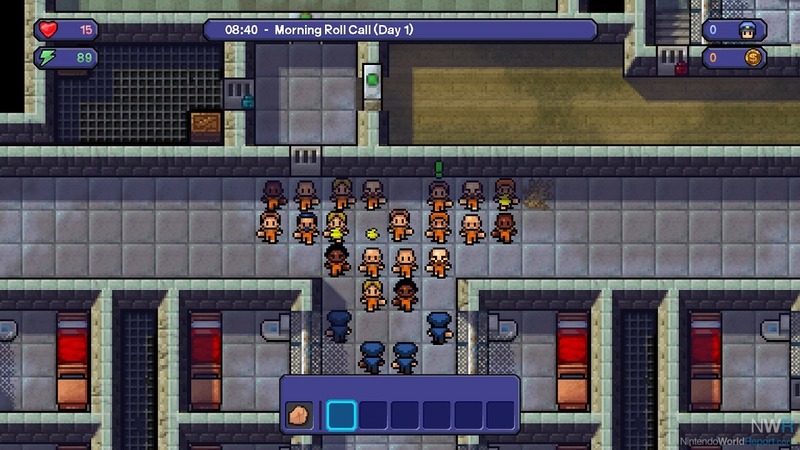 Overall, this is a classic puzzle and strategy game with a wealth of content to keep the prison escapes interesting. While it does need some improvements to make it truly great, I’d still recommend fans of the genre to give it a spin and see if they have what it takes to be an escapist.